Navigation, Sunroof, Heated Seats, Hybrid, Satellite Radio, Premium Sound System, NAVIGATION, WOOD TRIM. ATOMIC SILVER exterior and CHATEAU W/ LINEAR DARK MOCHA WOOD interior, ES 300h trim. FUEL EFFICIENT 45 MPG Hwy/43 MPG City! AND MORE! NAVIGATION 12.3-inch display, Electrochromatic Rearview Mirror, PREMIUM PACKAGE Rain Sensing Wipers, Side Mirrors w/Memory & Reverse Tilt, Heated & Ventilated Seats, Driver Seat Memory, Power Tilt/Telescoping Steering Wheel w/Memory, BLIND SPOT MONITOR W/PARK ASSIST Lane Change Assist, Intelligence Clearance Sonar, Rear Cross Traffic Auto Brake (RCTAB), WHEELS: 18" X 8J SPLIT 10-SPOKE HIGH GLOSS aluminum alloy w/machine finish, Tires: 235/45R18 AS, HEATED LEATHER & WOOD STEERING WHEEL Windshield Deicer, WOOD TRIM, ACCESSORY PACKAGE 2 Cargo Net, Carpet Trunk Mat, Rear Bumper Applique, Key Gloves, Alloy Wheel Locks. Lexus ES 300h with ATOMIC SILVER exterior and CHATEAU W/ LINEAR DARK MOCHA WOOD interior features a 4 Cylinder Engine with 215 HP at 5700 RPM*. At Lexus Santa Monica in Santa Monica, we have the new and used vehicles you have been looking for! 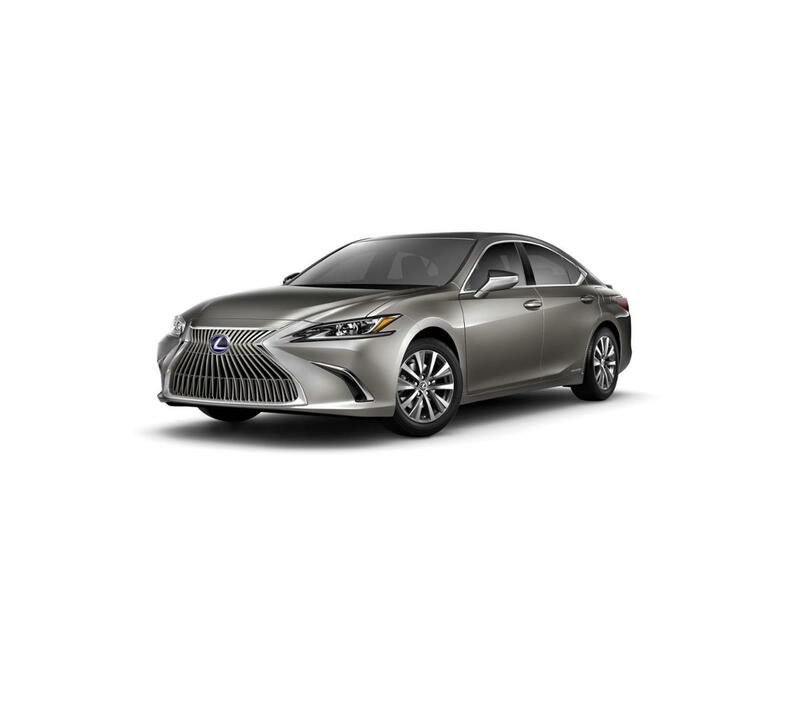 This Atomic Silver 2019 Lexus ES 300h , is available right now at your Santa Monica Lexus dealership. Call us at (424) 229-9998 if you have any questions about this Lexus or any of the other vehicles at our Santa Monica Lexus car dealership.